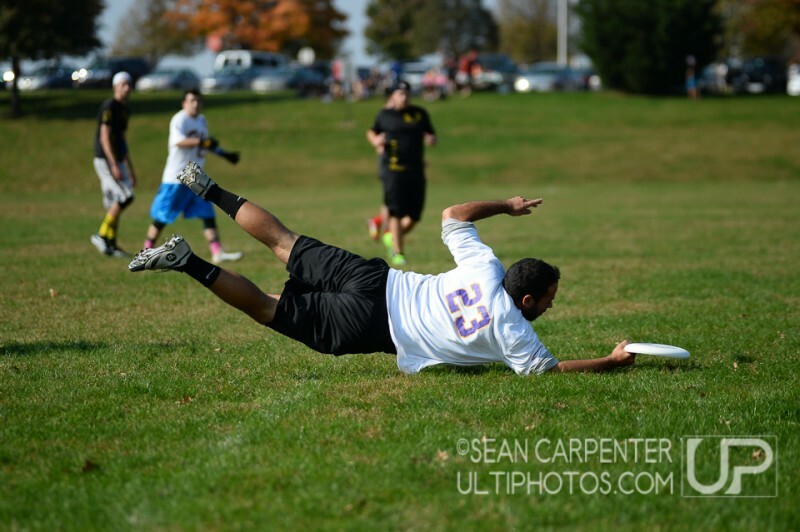 I headed over to West Chester University Ultimate’s home tournament – Dub City Hucktoberfest – to take some shots of the gents and ladies in action Saturday. Always great to get out and watch/shoot some Ultimate, both teams pulled out good victories despite the wind. Plymouth Meeting, PA: Rob Rodriguez lays out for a score in action from the Dub City Hucktoberfest, Saturday October 25 2014. Support our ultimate photography by purchasing a print or ordering a download, starting at just $3! Check out all the game photos and buy some!